Shelter workers see abused and sick dogs pass through their doors every single day, so when an animal comes in who gives them pause, you know the situation must be really bad. 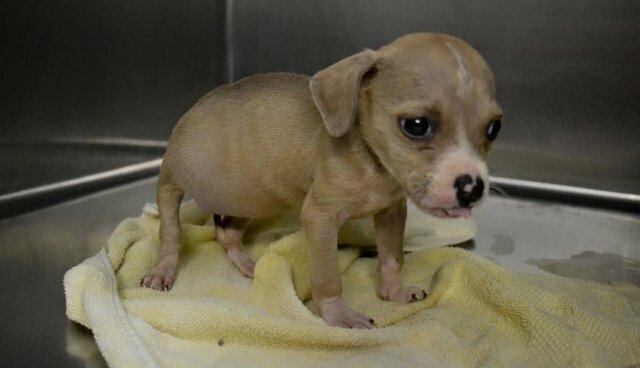 Baby Audrey, a tiny puppy brought to Fulton County Animal Services, a high-kill rural shelter in Georgia, shocked shelter staff not only because she was so small and terrified, but also because she had one of the worst hernias the shelter's medical staff had ever seen. The hernia covered Audrey's entire belly and was so severe staff worried Audrey, who weighs just under 3 pounds, would suffer from further complications. 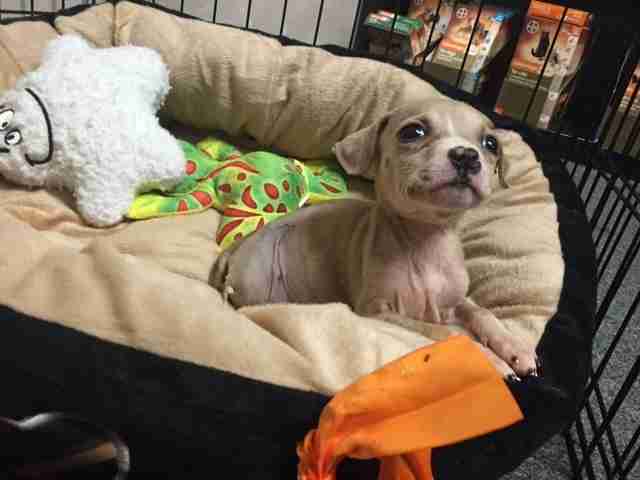 It was reported to the shelter that Audrey fell from a second story patio - shelter workers first thought surgery was her only chance at recovering. 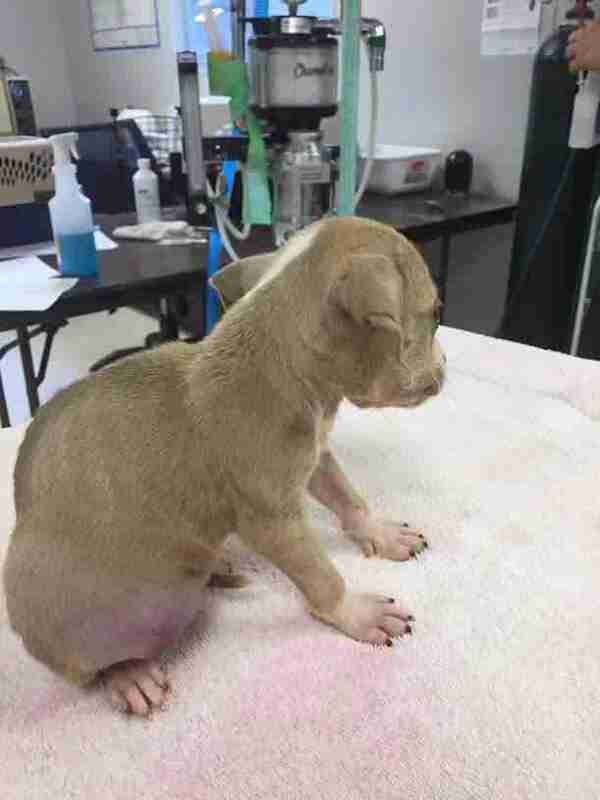 "Baby Audrey needs immediate rescue and corrective surgery as soon as possible," Second Chance Rescue NYC, who has taken on Audrey's case, posted on its Facebook page. 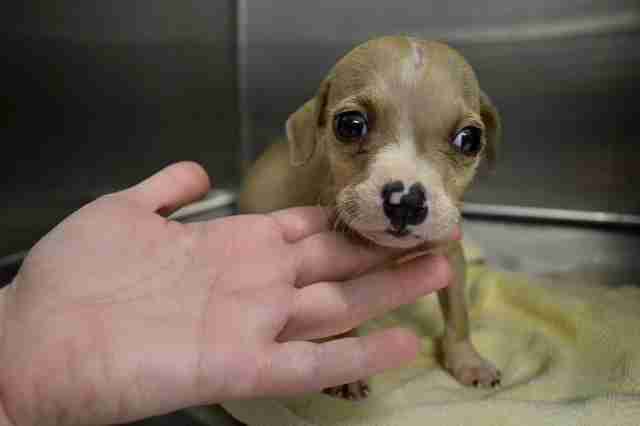 "We can not turn our backs on this little angel." Miraculously though, tiny Audrey has somehow begun to heal all on her own. 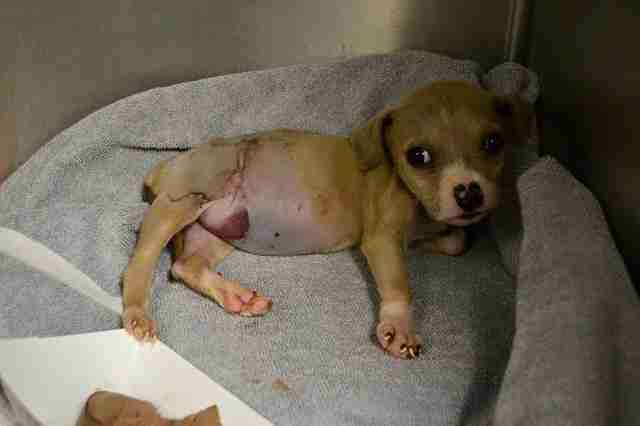 "Bruising is subsiding and she is doing great," Kelcy Kimmerer of Second Chance Rescue told The Dodo. 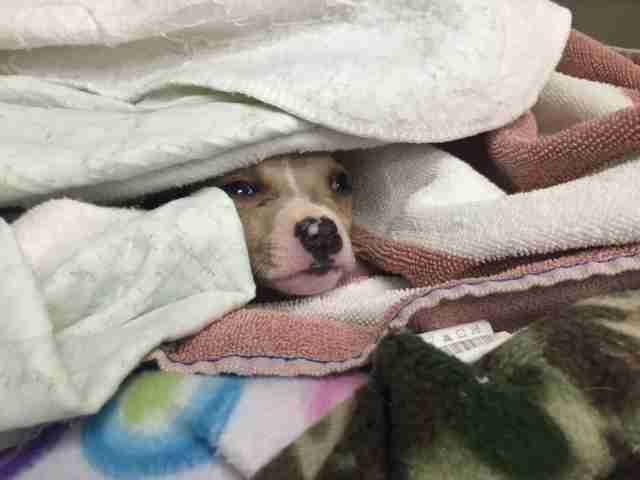 "They will re-check her in the near future to see if surgery is needed. She is still recuperating [from the hernia]." Audrey will need to be hospitalized for a while after surgery if she does end up needing it, before being transferred from the south to Second Chance's facilities in New York. Audrey is just a puppy and has her whole life ahead of her. Hopefully she will continue to heal on her own and make a full recovery. Despite how tiny she is, baby Audrey is clearly a fighter and she isn't giving up just yet!